The Neck Vitalizer™ helps users correct Forward Head Posture (Anterior Head Carriage) and Thoracic Outlet Syndrome (TOS) due to poor or slouched postures, easing chronic neck pain. Non-returnable. Resting on the device restores lordosis to the cervical spine, opens up the chest, and relaxes neck and shoulder muscles. 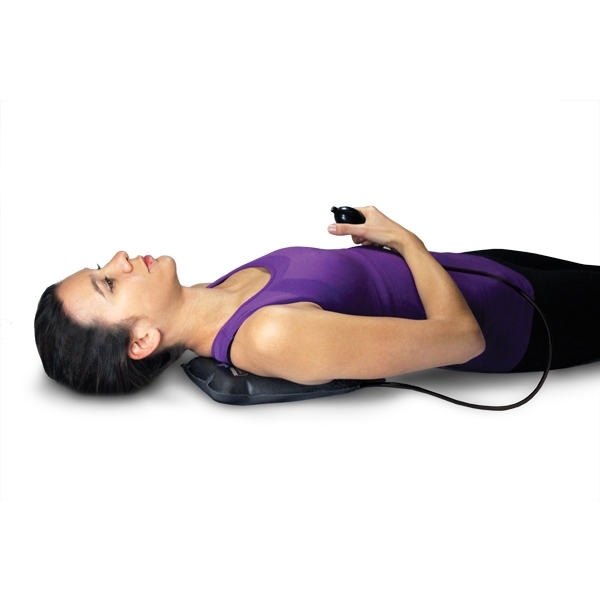 The Neck Vitalizer allows full, continuous control of therapy intensity. 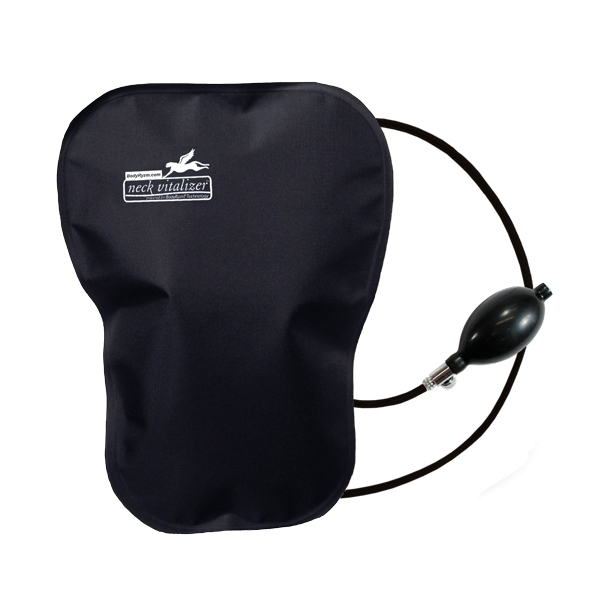 Comes complete with a handy inflation pump and carrying bag; stores easily. Supports up to 350 lbs. No assembly required. Inflation bulb contains latex.